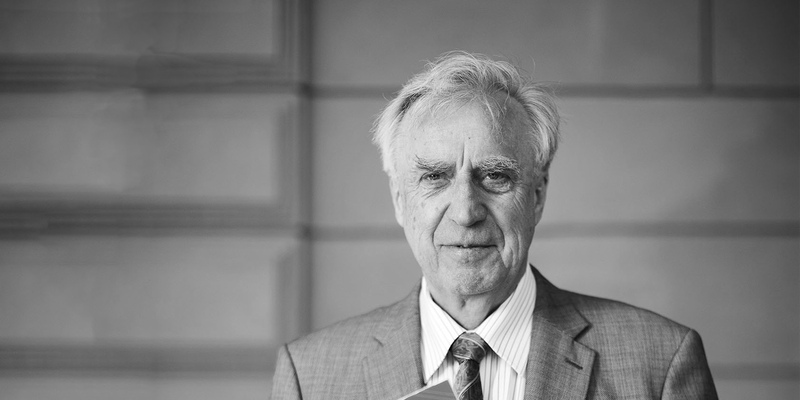 Sune Rydqvist, former chairman of the board of Configura, died on March 27, 2019, in his native Sweden. He was 80 years old. One of the founders of Configura, an entrepreneur and an author, Rydqvist helped to create the company whose technology has changed the way workspaces around the globe are designed. A memorial service will be later in April in Sweden. As a co-founder and co-owner of Configura, Rydqvist had many different roles, but the company’s development, culture and growth were always at the center. In the early years, he served as CEO, securing financing and getting the first customers. As Configura grew and evolved, he became chairman of the board and led the board’s strategic work. He retired as chairman in November 2018. “Configura is for me a company that makes people’s lives a little easier and a little better. A good company should be useful and enjoyable for customers as well as employees, society and owners. Configura is also a company that is at the forefront of technical development. My hope is that we will continue this way,” Rydqvist had said in a 2016 interview. Sune Rydqvist was born and raised in a small community in southeast Småland, a historical province in southern Sweden surrounded by forests and lakes. Here, he developed a love of hiking and fishing. After the mandatory military service required of all Swedes, he moved to the town of Örebro, west of Stockholm. There, he trained as an engineer in building technology. He met his wife, Kirsti, at a young age; they were married nearly 60 years. They had two sons: Kristian, who today is a researcher and professor of financial economics and lives in Binghamton, New York; and Göran, who today is chief technical officer at Configura and resides in Linköping, Sweden. Daughter-in-law Dao Rydqvist is married to Göran. Max, Samuel and a soon-to-be-born baby are the grandchildren of Sune and Kirsti Rydqvist. After working for several companies, Sune Rydqvist started a business in 1973 and a second business, S-Line, an office furniture company, in 1985. These two companies live on, now with other owners. “The experience that these different companies gave me was to actively look for whether problems exist in the business or with the products. There are always solutions to problems. Knowledge about how different things can be solved is always available from knowledgeable people in the most diverse areas. For the products that we manufactured and sold at S-Line, we encountered a lot of problems with specifications, drawings and calculations. It was in seeking to solve these problems that Configura came to be,” Sune said. Configura was born of Sune Rydqvist’s need for an easier space-planning and ordering process. S-Line had used various tools to draw, design and specify, but these tools didn’t solve the calculation problems involved in ordering complex products. Sune asked his son Göran – then a computer science major at Linköping University in Sweden – to develop a better solution. The younger Rydqvist tapped his best friend – Johan Lyreborn, who was also a programming student at the time – to help. Together, they created the software that eventually would become CET Designer, which today is invested in by many global manufacturers of office furniture, material handling products, and kitchen and bath furnishings – as well as used by thousands of people around the world to specify products and design spaces. In 1990, Sune Rydqvist, Göran Rydqvist and Johan Lyreborn formed CadCal Design, with “Cad” standing for computer-aided design and “Cal” for calculation. Much of their early work occurred in the small cottage that the Rydqvist family owned on the shores of Lake Vättern in southern Sweden. Here, the younger Rydqvist and Lyreborn had become friends as children. Soon, CadCal Design would move headquarters to nearby Linköping, Sweden. The space-planning and calculation software that they originally created was called OfficeMaker. Sune Rydqvist’s company, S-Line, became the first customer to use the solution. Other Scandinavian clients followed, including Lundqvist Inredningar, Martela, Electrolux, Kinnarps and DeLaval. In the mid-1990s, Configura started to pursue customers throughout Europe. In 1999, at age of 61, Rydqvist decided it was time to step down as CEO. Johan Lyreborn took over as CEO, with the senior Rydqvist assuming the role of chairman of the board and the younger Rydqvist heading up research and development. During the next years as chairman, Rydqvist saw his company open new offices in Gothenburg, Sweden, and the United Kingdom. As the board discussed their next step, Rydqvist pushed for the United States and, in 2006, Configura opened an office in Grand Rapids, Michigan, after landing the U.S.-based office furniture manufacturer Haworth. Also in 2006, Sune Rydqvist, Johan Lyreborn and Göran Rydqvist authored the book The Strength of PGC, which explains the concept and benefits of Parametric Graphical Configuration (PGC) – the foundational philosophy and technology behind Configura’s software. Then, in 2007, the world’s largest office furniture manufacturer – U.S.-based Steelcase – chose CET Designer as its space-planning platform. CET Designer would go on to win Best of NeoCon Gold and Silver awards. In 2012, Configura opened an office in Malaysia to meet the needs of the growing Asia market. The company opened an office in China in 2016 and another in Germany in 2019. Last fall, the privately held Configura announced that the Norwegian company Vind became a long-term co-owner, joining shareholders Sune Rydqvist, Johan Lyreborn, Göran Rydqvist, Johan Bengtsson and Niels Madsen. Rydqvist leaves behind a legacy, with more than 13,000 people around the world using Configura’s software. The company works with more than 100 global customers, including the largest office furniture manufacturers in the U.S. and China, the leading kitchen providers in the Nordic countries and some of the largest manufacturers in the material handling segment. Design programs at colleges and universities teach the CET Designer platform. Configura employs more than 190 people in its offices in Sweden, the United States, Malaysia, China and Germany. Just this past November, Configura was named Growth Company of the Year at Linköping’s Business Gala. “My father had a vision, and his vision has created a community that’s spread from Sweden to across the world,” Göran Rydqvist said.